Murat Efe, a native of Turkey, lives in Mayfield but is considering moving his family to Lakewood to be closer to the center. Local dignitaries also attended Sunday’s event, including State Rep. Nickie Antonio and Fatih Yildiz, the consul general for the Republic of Turkey. Another event, open to the public, is expected soon. In addition to hosting gatherings for its members, the center will host English as a Second Language classes, meetings and social events. According to property records, the nearly 15,000-square-foot property was sold to the Scioto Education Foundation for $232,000 in December. 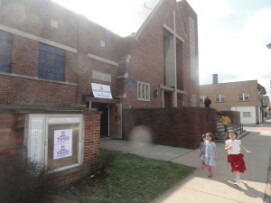 The facility is the second Turkish American Cultural Center in the Cleveland area — the other one’s on the East Side in Highland Heights.